A new report released by the International Renewable Energy Agency (IRENA) says Australia stands to benefit from the shift to global renewable energy. The Global Commission on the Geopolitics of Energy Transformation produced the report, titled ‘A New World’. It found countries that take advantage of renewable energy technologies “can expect to enhance their global influence and reach”. The IRENA report mentions Australia as part of this trend. This is because our wind and solar energy resources are an estimated 75 per cent greater than our coal, gas, oil and uranium combined. Australia stands to gain from a global renewable energy future. By becoming a significant exporter of renewables, Australia could emerge as a global renewable energy leader. 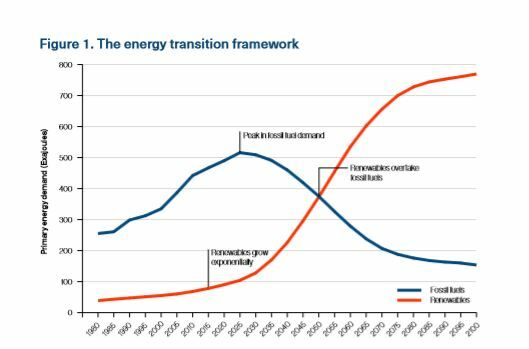 Trade in renewable energy technologies will grow. This includes solar panels, energy storage batteries and smart meters. Electricity trade will grow between countries, making grids more stable. Trade in renewable energy fuels such as hydrogen will increase significantly. Australia already has the potential to be a significant player in the hydrogen export market. The Commission asserts renewable energy growth will weaken alliances built on fossil fuels, such as the OPEC (Organization of the Petroleum Exporting Countries). Global relations will also change, since renewables are “less geographically concentrated” than fossil fuels. In other words, renewable energy can be produced at most locations. So instead of importing oil, many countries will investigate ways of developing renewable energy at home. This in turn will reduce their energy dependence on oil-producing countries, in effect creating a shift from global to local energy supply chains. Then as countries around the world become more energy independent, fossil fuel-rich countries will lose their dominance. Those countries that fail to adapt to the new energy age could see their revenues decline, according to the Commission report. The IRENA report also states that renewables, especially wind and solar energy, are growing faster than other sources of energy. Renewable energy now accounts for about 25 per cent of global electricity generation. Australia is part of this trend, with solar installations growing at a very rapid rate according to recent GEM data.